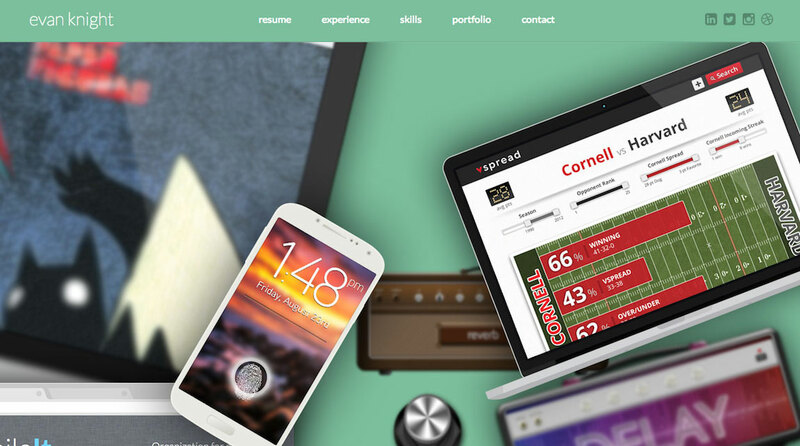 Long responsive One Page portfolio for Evan Knight with a subtle touch of Parallax Scrolling as you start scrolling. I design for software, web, and mobile. I also enjoy creating Motion Graphics, CSS3/HTML5 Websites, and php/MySQL applications.